Jane Shilton Handbag Strap Double Buckle Antique Brass 20mm wide. This range of buckles is designed for hand craft experts, gifted amateurs and professionals who repair handbags. 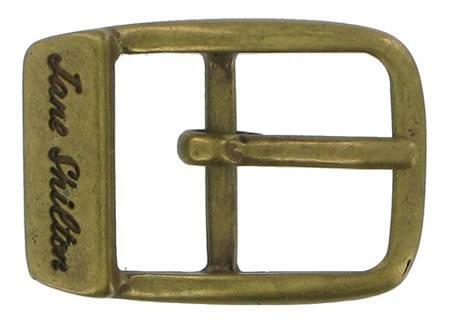 This antique brass handbag strap buckle by Jane Shilton will accommodate a strap of up to (approx 13/16 inch) 20mm in width. Overall buckle length 36mm.